If you are in need of aggressive DUI and DWI (Driving While Impaired) defense throughout Wicomico and Worcester counties, we are here to help! My experience with DUI / DWI defense is unmatched. 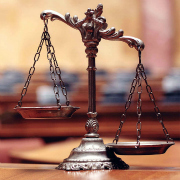 McFadden Law LLC is ready to provide tested and proven representation to you and your family. I will evaluate your case and explain what you need to do know to protect your license, your job, and prepare an effective defense. Contact me day or night, and I will schedule a free consultation. If you have a CDL, government clearance, or a professional license, I am prepared to help with your specialized needs as well. I understand that an arrest is a frightening and traumatic experience. You may feel lost and scared. The majority of DUI / DWI defendants have never been arrested, if you are in that situation, you will need immediate answers to questions regarding potential jail time, driver’s license, employment, security clearance, CDL and other serious questions. In Maryland, DUI and DWI (Driving While Impaired) are serious offenses with potentially long-term consequences. Immediate action by an experienced and trial-tested DUI defense team can have a positive impact on whether your case is resolved successfully and your job and family are protected. If you were just arrested for drunk driving in any county in Maryland, please call or fill out our form and I will contact you. I will answer your questions, give you some peace and perspective, and immediately schedule your free consultation. If you have been pulled over by the police, here are some ways that you can help yourself. Do not consent to a search of the car- Any evidence found in your car could be used to support a DUI conviction, so do not allow the officer to perform a search. Always have a clean center console or glove box- Fumbling through these compartments can be easily misinterpreted as intoxication. Keeping the glove box or center console neat and clean enables you to swiftly grab your identification and present it to the police officer. Contact a DUI / DWI attorney immediately. For a consultation, contact McFadden Law LLC today! If you have been arrested for DUI, you need a qualified defense attorney who has the knowledge and experience to help you. Call today 410-742-7100 or contact me online.